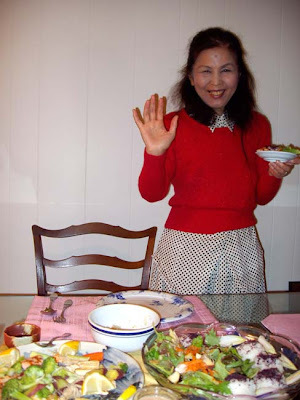 I spent New Years Eve with my good friend Ryoko Amadee Goguen. Ryoko is an extremely kind hearted and talented composer. I was lucky enough to share some time with her. 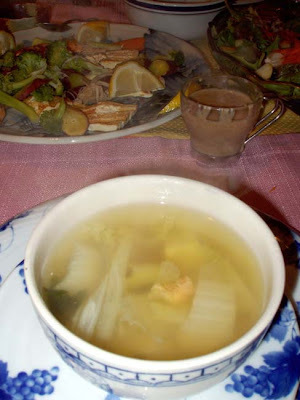 she made some cabbage soup with dried shrimp. 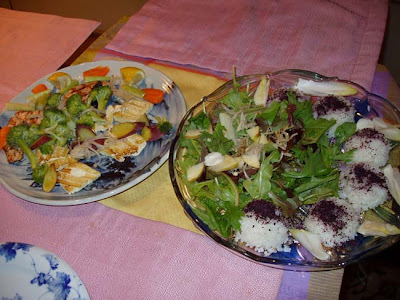 we also had some apple salad, rice with dried plum, salmon, and tofu steak; a very colorful meal. 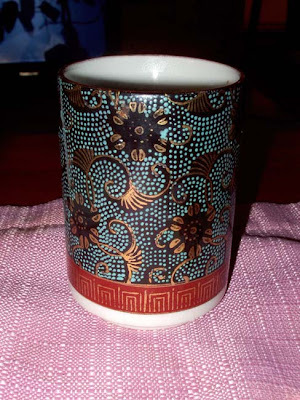 Ryoko explained to me that this cup was made in her hometown in Japan. I love the patterns and colors.